The said resolution was passed as a response to Datuk Seri Gopal Sri Ram, an ex-Federal Court Judge acting as counsel in a constitutional case and was so passed notwithstanding the Federal Court ruling in September 2013 that there is nothing wrong with the practice. It is noted that at that point in time the Bar Council totally disregarded the said ruling during its deliberations on the resolution and proceeded to nonetheless to call for the Legal Profession Act 1976 to be amended to outlaw the practice, and to educate the public on the need for such a prohibition. Suddenly when Datuk Seri Gopal Sri Ram acts for Datuk Seri Anwar Ibrahim at the Federal Court, the President of the Malaysian Bar, Christopher Leong, hypocritically maintains a deafening silence in response to this action of Datuk Seri Gopal Sri Ram and the Bar Council fails to comply with the resolution that they themselves brought for approval by the Malaysian Bar on this issue. 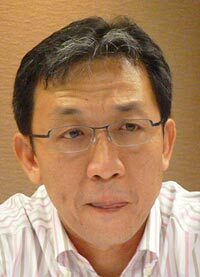 It was only when there was criticism and pressure mounted by other members of the Malaysian Bar and other quarters on this hypocrisy that the Bar Council, after two days of silence, issued a statement that at best can be characterised as desultory. This is due to the undeniable fact that the weak statement issued by the President of the Malaysian Bar stating that the Bar Council does not have the power to enforce their own resolution passed at their 68th AGM as long as Parliament does not amend the Legal Profession Act and use of a previous Federal Court ruling to justify inaction is tantamount to partiality when it comes to situations involving Datuk Seri Anwar Ibrahim. The question must be asked as to why, when the said resolution was passed, did the Bar Council not immediately proceed to launch a civil movement to collect signatures and support of the rakyat to pressure Parliament to amend the Legal Profession Act 1976 in the same way the Bar Council is doing with regard to the Sedition Act 1948? Further to this, why is it that, when debating the said resolution, the Bar Council did not raise the issue of the need to respect a Federal Court ruling that allows an ex-judge to represent a client? A further question that arises in relation hereto is that why did the Bar Council, if it is consistent in agreeing with whatever is decided by the Courts, on 16 October 2013 proceeded to issue a statement criticizing the Judges of the Court of Appeal for their ruling on Catholic publication The Herald’s use of the term Allah? The action of the Bar Council in issuing a unenthusiastic and indifferent response in this issue is tantamount to failure to comply with their own resolution passed at their AGM and must surely indicate that the Bar Council is in reality being selective about what amounts to what is acceptable versus what is not acceptable with it comes to matters of law, and their hypocritical actions in this regard cannot in the least be said to be upholding the cause of justice without fear or favour as they so fondly like to proclaim to the wider public at large. In all probability it would probably be more accurate to state that the Bar Council upholds a law based solely on whether the same accords with the cause of liberalism many of the members therein seem to espouse. Situations such as these cannot and must not be allowed to continue unabated. The time has come for the rakyat to demand that Parliament relook the powers given to the Bar Council as regards the legal profession and demand the neutrality expected from the Malaysian Bar. It is also high time that members of the Malaysian Bar, numbering some 15,000 in all, change immediately the leadership of the Bar which for all this while has been dominated by the same select few and voted on by a mere twenty per cent of members since the past 10 years. Given that the Bar Council elections nominations have closed and that the voting process will commence shortly, we strongly believe that members should waste no opportunity to make known their dissatisfaction with these state of affairs at the ballot box. We accordingly urge members to vote in a changed Council. * Mohd Khairul Azam Abdul Aziz and Faidhur Rahman Abdul Hadi are lawyers practising in Bandar Baru Sentul, Kuala Lumpur and Hartamas Heights, Kuala Lumpur respectively. November 3, 2014 in Perlembagaan Persekutuan.